Jason Reitman to Direct Upcoming 'Ghostbusters' Movie! Jason Reitman is reportedly set to direct the upcoming movie in the Ghostbusters franchise! Sony Pictures is keeping the film franchise in the family as Jason‘s dad Ivan Reitman directed the first two films. Not much is known about the secret Ghostbusters movie, but Jason reportedly co-wrote the screenplay with Gil Kenan. Sources say that it could be a continuation of the 1984 sequel and not connected to the female-fronted 2016 film, according to Variety. Ivan‘s company Montecito Pictures is producing the film. ARE YOU EXCITED for the next Ghostbusters movie? Hugh Jackman stopped by The Late Show with Stephen Colbert on Monday night (November 12) to promote his new film The Front Runner, but took the opportunity to discuss Stan Lee after he tragically passed away at the age of 95. If you don’t know, Stan created some of the biggest superhero characters for Marvel, including X-Men. 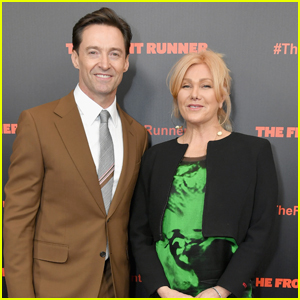 That same evening, Hugh joined his co-star Mamoudou Athie, writer Jay Carson and director-writer Jason Reitman at the Yahoo News and Sony Pictures private screening of The Front Runner held at The Metrograph. Also pictured: Hugh spotted stepping out of his car to promote The Front Runner on Good Morning America on Tuesday (November 13) in New York City. 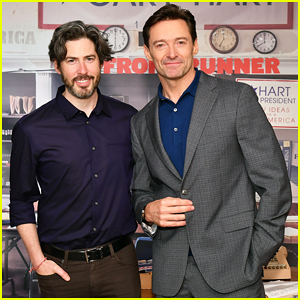 Hugh Jackman is looking handsome as ever at The Front Runner Variety Screening Series on Saturday (November 3) at Harmony Gold in Los Angeles. 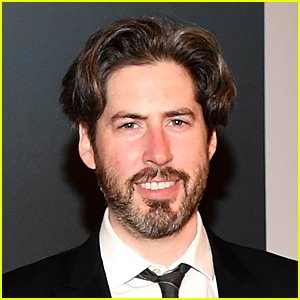 Director Jason Reitman also the attended the special screening. The two attended a Q&A following a screening as part of the Variety Screening Series. In the movie, which hits theaters on November 21, American Senator Gary Hart‘s (Jackman) presidential campaign in 1988 is derailed when he’s caught in a scandalous love affair. Vera Farmiga and J.K. Simmons also co-star in the movie.